We Are The In Crowd have set the world record for the Highest Five-Person Cumulative "Flappy Bird" Score. The pop/rock quintet scored a cumulative total of 121 points while all playing Flappy Bird at the same time. You can watch a video of the band attempting the challenge below. 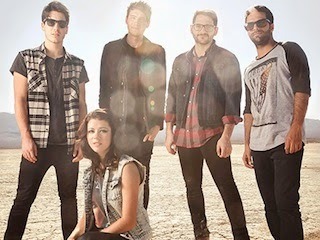 Think you can beat We Are The In Crowd's high score? More information can be found here.